It is the garden front with its curved glazing to the south-east and the cantilevered balconies that are the distinctive features of Gloucester House. 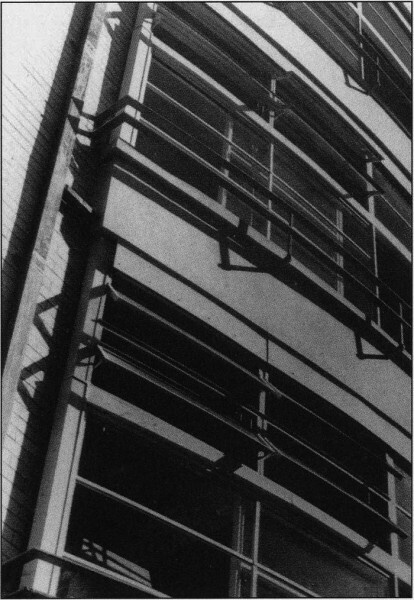 Although the building is discretely tucked away in the hospital grounds the curved glazing was much photographed and published in the international press. The ward block was to be modern in all respects, with internal steelwork and timberwork also influenced by contemporary European buildings visited by Arthur Stephenson. Associated with the new hospital were landscaped grounds and a circular entrance drive, with a central sculpture.